The browned, frozen fields of the Midwest in winter don’t exactly call to mind visions of bounty. But Minnesota writer Beth Dooley doesn’t want that to stop people from buying locally produced organic foods in the colder months. In fact, to her, doing so is a political action. 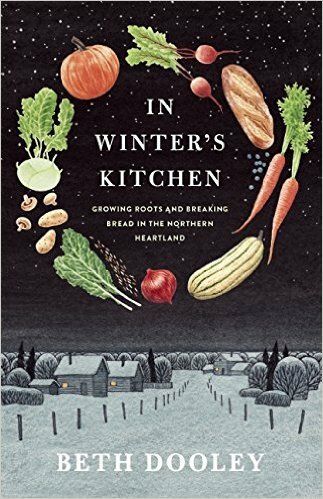 Dooley’s recently published book, “In Winter’s Kitchen,” turns the spotlight on locally sourced winter foods. At the core of the book, Dooley addresses the unsustainable methods of corporate commodity farming. Locally sourced food helps address that problem. But people can forget about local agriculture when the ground freezes. Dooley hopes to bring attention to the efforts in our region that support sustainable local farming throughout the entire year. Dooley’s book highlights the variety of foods available in winter and the innovations that make them possible. When the temperatures drop, people start to crave warm, hearty foods. That craving coincides with “what mother nature is providing us,” Dooley said. Root vegetables and winter squash store well, making them last for months after harvest. Some even improve with time. Dooley said certain varieties of carrots sweeten during storage. Winter squashes like butternut squash, acorn squash, buttercup squash and more, are other foods that get better over time. They need to cure a bit; so storing them allows them to become drier and sweeter, Dooley said. Of course there are also challenges. 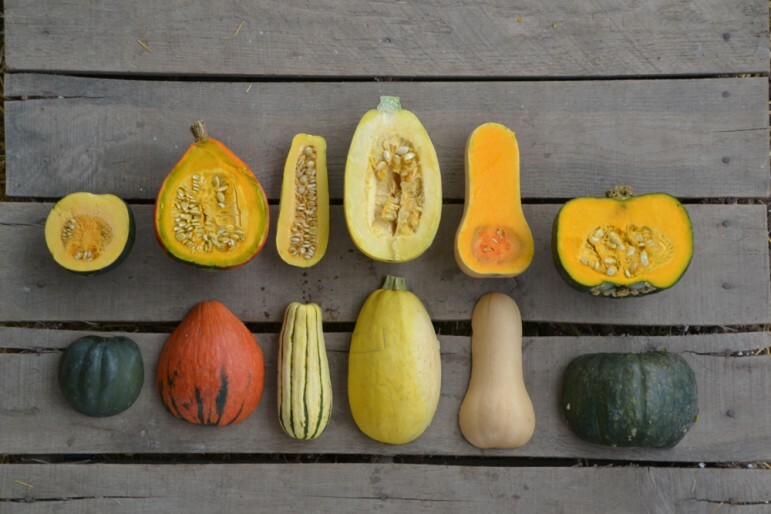 The shells of winter squash tend to harden in storage, making them difficult to cut into. But Dooley has tips for that too. But once the squash is broken up and the seeds removed, sticking it in the oven and letting the flesh soften makes it easier to work with, she said. Hardy, storable produce isn’t all that a Midwest-based winter diet has to offer. With the help of certain technologies, farms can continue producing less-hardy leafy greens into the colder months. Katie Brandt, a farmer at Groundswell Farm in Zeeland, Michigan, uses a hoop house, a tunnel-like structure made out of polyethylene that keeps soil and plants warm with solar radiation. It’s extended the farm’s growing season seven weeks into the early winter and has enabled her to plant four to five weeks earlier in spring, she said. It also allows the farm to support an 80-member winter CSA–or community-supported agriculture, which is an alternative way for individuals to buy local produce. The hoop house supplements Groundswell’s stored crops, such as onions, garlic and potatoes, with salad greens, spinach, lettuce, radishes and cilantro, Brandt said. Hydroponics and aquaponics are other sustainable technologies that can extend the growing season for Midwest farmers, if they choose to farm indoors. Hydroponics is farming without soil, using only water and nutrient mixtures instead. Aquaponics is the combination of hydroponics and aquaculture, using the nutrients from fish waste to feed the plants. Most commonly, aquaponics systems are used to farm leafy greens like lettuce and herbs like basil, Miller said. But they are capable of producing more than 250 varieties of vegetables, and can even grow fruit. Simultaneously, farmers can grow tilapia, hybrid striped bass, koi, catfish and salmon. Urban Organics set up its system in the old Hamm’s Brewery in Saint Paul, Minnesota. There, they grow different varieties of chard, kale and herbs. The bottom line for Dooley is that a locally sourced diet in the seemingly barren winter is totally possible–and important. Dooley doesn’t have any delusions about eliminating big agriculture. But she believes that small efforts to support sustainable agriculture, like remembering your local organic farms in the winter, can make a difference. Aware of the availability of local food in winter, and the fun that comes with preparing it, promotes sustainable growing practices, Dooley said. 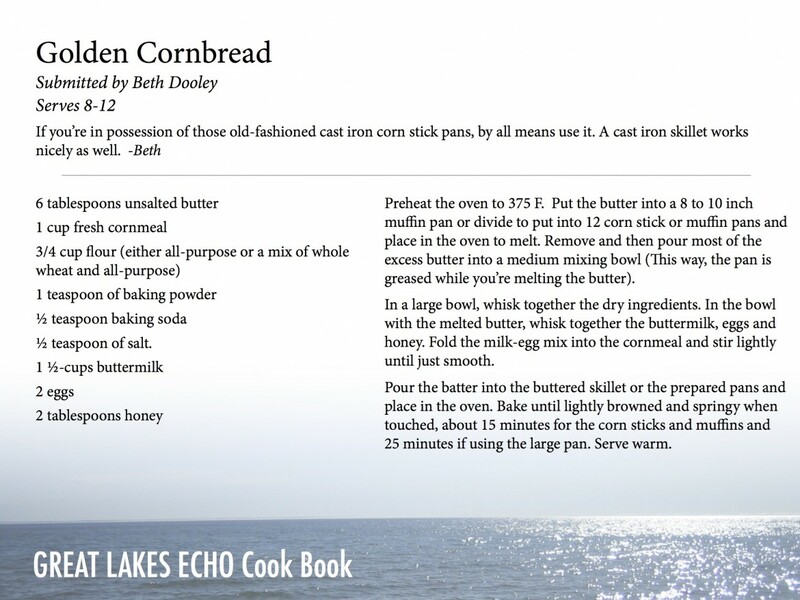 You can purchase Beth Dooley’s “In Winter’s Kitchen” online on Amazon.com or at your local bookstore. 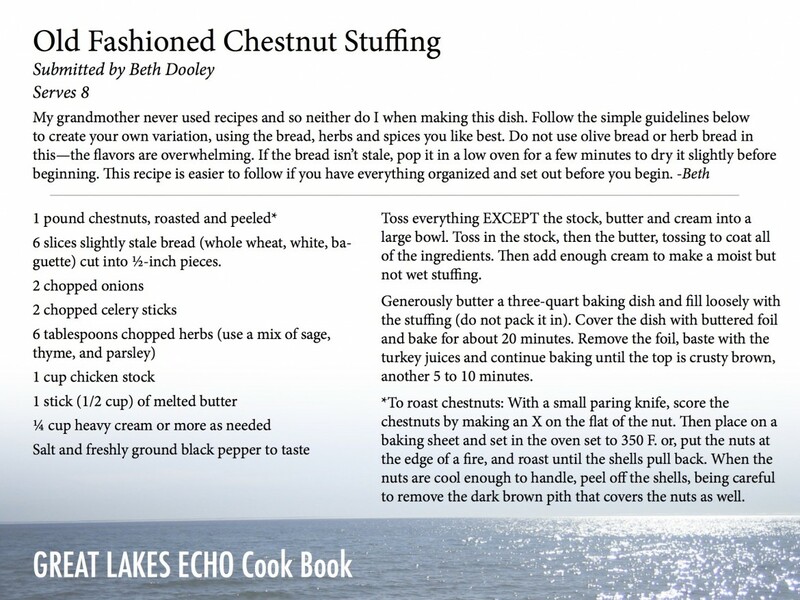 Submit your favorite winter recipe that uses as many local ingredients as possible, along with one to two sentences about why you chose to include it. We’ll add it in the slider below for later publication. The rules are simple: think winter. What kinds of foods do you crave when it’s cold out? Soups, stews, bakes and roasts are all fair game, as are any other wintry dinners or desserts that come to mind. 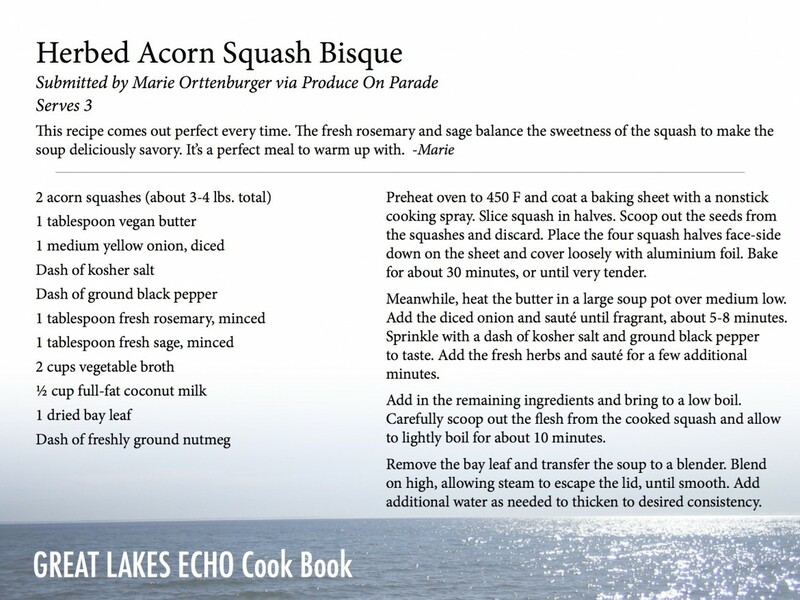 Pick recipes that are filled with locally sourced foods. Possible ingredients: parsnips, rutabaga, potato, carrots, any of the winter squashes, beets, cabbage, sweet potatoes, cranberries, apples, chestnuts, milk, honey, butter, wheat, local meats and more.